We serve the local airports, ready to take you To & From your destination of choice. Reserve a vehicle with us now and we'll get you To & From airport, right on time. This is possibly the most important day of anybody's life. Reserve a vehicle with us for your bridal party and friends and we'll make sure your special day is exactly as you imagined it would be. Going out for a fun night on the town with your friends? We'll be your designated drivers, so you don't have to worry about a thing. 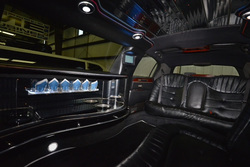 Reserve one of our luxury limos and paint the town red, in style. Need a lift somewhere? We're happy to pick you up and drop you off at the destination of your choice! Reserve a car with us now. Need a way to get around the city stress-free? We'll pick you up and chauffeur you around for a fixed hourly rate. Reserve your vehicle of choice now. What could be more exciting than picking up your date, or traveling with "the crew" in style for your prom day? Reserve a car with us now and we'll make sure you get to and from your prom safely and in style. Get an instant quote and reserve a vehicle with us now! Let us worry about concert parking, while you and your friends have a splendid time and the concert. Need a designated driver? 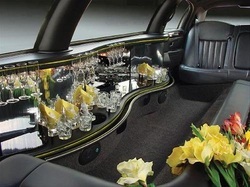 Some of our luxury limos are equipped so that you can start (and continue) the party while we drive you around town, and in style. Go ahead and make your reservations. As you graduate, we would like to be your chauffeurs for the day; moving you into this new chapter of life in style - because you deserve it. Our drivers are fully equipped with knowledge of the city and are ready to show it to you in its entirety! 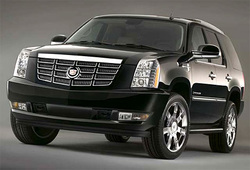 Tour with us in style - reserve your vehicle now. Love is a beautiful thing and we want to share your special moments with you! You have a lot to celebrate, let's worry about the little details. 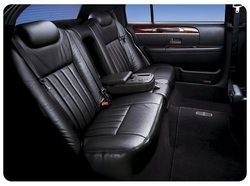 Luxury Sedan To & From Airport. Credit Cards Accepted. Book Or Call Now!